No doubt Google Chrome is the most popular web browser. It is faster and more secure than any other web browser available in market. I also personally like Google Chrome. Mozilla Firefox is also a nice browser but have some speed issues. I found Google Chrome perfect for me. 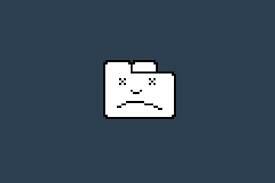 But, Chrome has a one problem that you may also feel. Its RAM hogging. Although, Google Chrome is lightweight browser but whenever I open many tabs on chrome, it consumes too much RAM on the system and makes it unresponsive. If your Chrome browser is unresponsive, then RAM may be a issue. The more extensions you have installed, more RAM it will consume. But there is one Chrome extension that can solve this issue. This extension is called OneTab. It converts all tabs into list and save RAM. After installation, Onetab adds a funnel icon in omnibar. Clicking on this icon will save all your open tabs into a list and makes it a single tab. According to developer, this extension helps you to reduce 95% RAM consumption.I cannot say whether it is true or not. But I really helped me. When I tries the extension and grouped all tabs into a single tab, I saw very few processes in task manager. You can either use Google Chrome’s task manager or windows task manager. See the snap below. you can see the change in number of processes. I still have too many Chrome processes because I use many extensions on my browser. When ever you want to restore all tabs or any specific tab, you need to go to the OneTab tab and select what you want to do. You can either delete all tabs or restore all tabs. If you want to open a specific tab, select from the tab links from the list on the OneTab page. 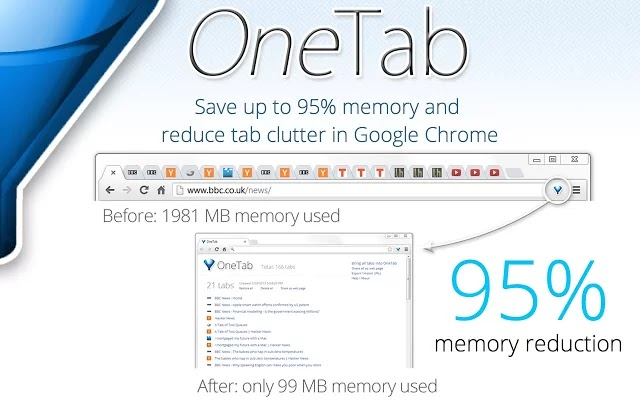 This is really an awesome extensions for those who always use multiple tabs for web browsing. If you face Chrome issue due to RAM usage, this extension is a perfect choice. Try this extension and share your experience with us.